Spring 4 MVC Tutorial series helps you learn Spring 4 MVC step by step. With a tutorial, it also shows you how to create Spring 4 MVC Example project. 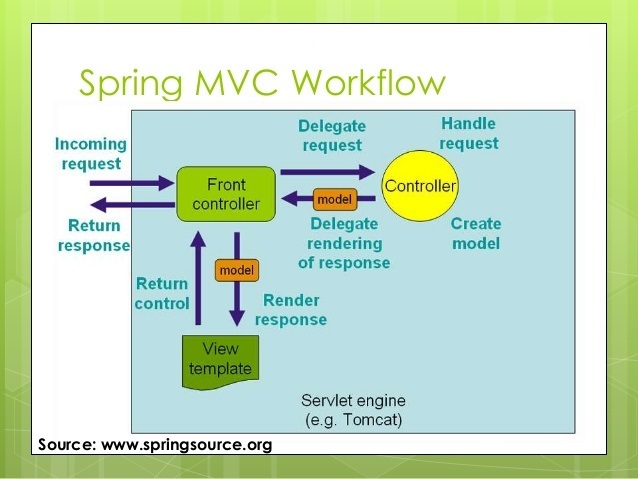 The Spring MVC is a Model-View-Controller(MVC) web framework is designed around a DispatcherServlet that dispatches requests to handlers, with configurable handler mappings, view resolution, locale, time zone and theme resolution as well as support for uploading files. This Spring 4 MVC Tutorial series is based on different Spring 4.x versions and will be updated if The Spring framework releases new version. The below is list of tutorials that helps you get the common features of Spring 4 MVC and dig deeper with help of working Spring 4 MVC Example Project. Example Spring MVC web application is created in Eclipse using Maven. Example web application using Spring MVC XML configuration. Example Web application using Spring MVC Annotation-based configuration (Java Config). Example web application using Spring Form tags, Form validation using JSR303 validation, accessing static resources. Example CRUD Restful WebService using Spring MVC 4, and. We will test those services using external clients. Example secured RestFul webservices using Spring Security 4 with OAuth2 protocol.